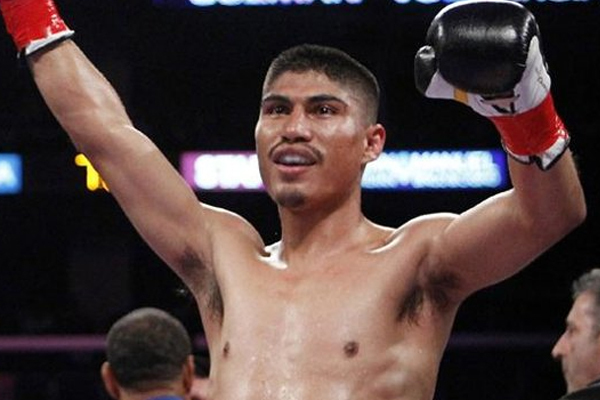 In January 2014, Mikey Garcia successfully defended his WBO super featherweight title against Juan Carlos Burgos, running his professional record to 34-0 with 28 KOs. At 26, he was a two-division titlist, and looked to be one of the sport’s potential superstars. But more than two years of inactivity followed that victory, as Garcia fought promoters in the courts. Finally, last July, he returned to action, stopping Elio Rojas in five rounds. Still not 30, Garcia looks set to pick up where he left off. This weekend, Garcia gets the opportunity to become a three-division champion, when he faces WBC lightweight champ Dejan Zlaticanin. It is tempting to pencil Garcia in for the victory in this one and start speculating on bigger matchups for later in the year. But Zlaticanin should take Garcia’s full effort. The Montenegro native has victories over Ricky Burns and Petr Petrov. He is a compact, hard-nosed fighter. The smart money is on Garcia, though. At times in his career, he has looked like a special fighter. He fights with patience and intelligence, but when he has an opponent in trouble, he finishes with ruthlessness. If Garcia remains undefeated in this one, he becomes one of the most obvious potential opponents for super featherweight champion Vasyl Lomachenko. So far, Lomachenko has held both of the belts that Garcia held previously. Garcia’s history of legal problems with Lomachenko’s promoter, Top Rank, makes this matchup complicated, but hardly impossible. So long as Garcia beats Zlaticanin, he and Lomachenko will both be each other’s best potential opponent. Another interesting possiblity for Garcia could be Adrien Broner. Earlier this month, Mikey’s older brother and trainer, Robert, said he expects that fight to happen in 2017.